American Single Malt is an emerging category. Grounded in Scotch traditions, it’s also defined by a U.S. spirit of experimentation. And as more distilleries release expressions — unique in their provenance and production —producers are collaborating to legitimize the category. For consumers, a big appeal of American Single Malt is variety. U.S. distillers working outside the parameters of foreign single malts have created flavors unlike much else on the market. Consumers today want what’s new to them. Here’s a whole category of unique spirits they’ve likely not yet tried. “It turned out that quite a few of us were having the same epiphany,” he adds. The numbers reflect his statement. Ten years ago, no more than five distilleries were making American Single Malt. Today, about 50 U.S. distilleries produce it. Four of them make nothing but the style. What Is American Single Malt? Scotch dates back to the 15th century. American Single Malt is much younger. But this lack of history can actually be a strength. “With the success Scotch has had in Scotland, why would they change a thing? But we’re not hamstrung by the same cultural restrictions,” explains Matt Hofmann, Master Distiller of Westland Distillery, which produces only single malts. The commission spells out rules for American Single Malt. The spirit must be made from 100% malted barley, and distilled entirely at one distillery. These whiskeys must be mashed, distilled and matured in America, and aged in oak casks. They cannot be distilled past 90 proof, or bottled below 80 proof. The last word is key. Innovation. Members of ASMWC want to promote it. Their definition of American single malt gives distillers room for experimentation with different malts, yeasts and casks. This is what truly differentiates American Single Malt from foreign equivalents. In the wide world of single-malt whisky, distillers typically use one or two types of malts. This despite there being a wide range of malt flavors and terroir possibilities. So is the way of tradition. American Single Malt is the exception. But breaking from Scotch traditions is not meant as an insult. “We don’t want to flip Scotch on its head and poke fun of it, but express who we are and where we come from,” says Hofmann. This Seattle-based distiller is a pioneer in the category. Their flagship product, American Single Malt Whiskey is made from five different malts, including Chocolate Pale Malt and Washington Select Pale Malt. “We have one of the best barley-growing climates in the world,” Hofmann says of the local grain in the mash bill. Westland uses Belgian Brewer’s Yeast, which fell out of favor in Scotland due to lower yields and slower fermentation. Westland also uses roasted malts, uncommon in foreign single malt because they yield 20% less. “But we ask ourselves, what can we do to make the best whiskey?” says Hofmann. Why not age in local oak? 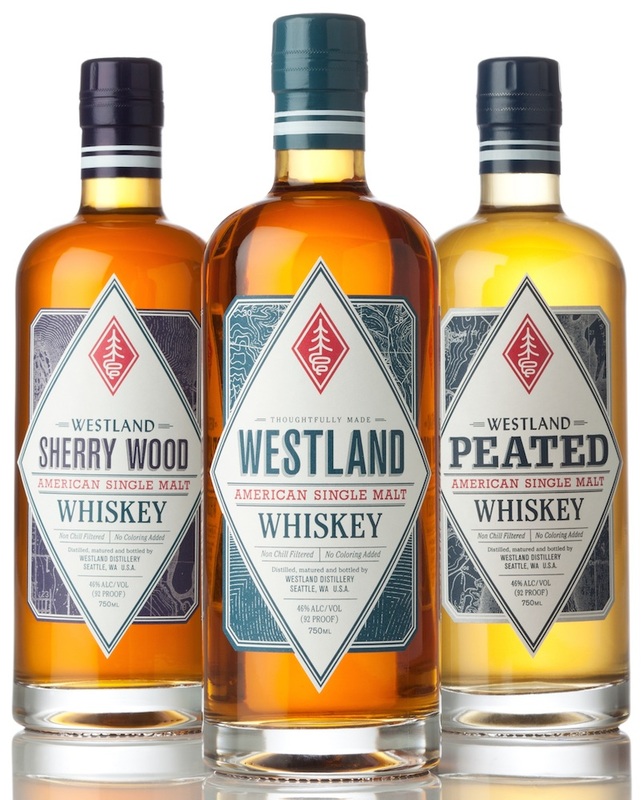 A limited-release of Westland whiskey rests in barrels made of Garryana, an oak found only in America’s Pacific Northwest. Westland also reaches into Washington bogs when making its peated single malt. Single malt is a sensitive spirit. Unlike bourbon you cannot dump it in charred oak and move on. It requires thoughtful aging, but also opens the door for creative ways of affecting the spirit while at rest. The ASMWC allows distillers room for aging experimentation. Many members take advantage. For an example of the cutting-edge creativity that defines this category, consider the aging techniques employed by Cedar Ridge Winery and Distillery (pictured atop) of Iowa. The barrels are emptied and the aged whiskey goes into one of three types of casks. These include ex-bourbon/-rye/-wheat barrels, ex-wine casks (port or brandy) and ex-rum. After one-to-two years in these secondary casks, all the whiskey is married into one large solara tank, along with another single-malt made in the peaty style. This diverse whiskey mixture sits in this tank for another four months. Then the tank is bottled halfway down and refilled. The tank never empties. It’s a combination of spirits of various ages and finishes. “I think this is what gives our Single Malt Whiskey its complexity and depth,” Quint says. Inspiration for this method comes from Glenfiddich 15, which is married in a big vat and bottled, and how Balvenie Double Wood goes through different barrels before bottling. That Quint lays down barrels in the climate of Iowa alone provides a differentiator. Summers in this state can top 100 degrees, while winters dip below freezing. As much as any whiskey, single malts are sensitive to climate. The spirit can taste differently if it’s aged in the inclement weather of New England, the heat of Texas, or the oceanic climate of the Pacific Northwest. The drive for innovation that defines American Single Malt derives in part from another category. Many of these distillers have a background in brewing. Parker of Copperworks worked for Fish Brewing Company, Redhook and Pyramid breweries before opening his distillery. Brewers know from many years of experience how different specialty malts will taste in their finished beers. Distillers remain largely in the dark. Others go about it differently. Newport Distilling Co. of Rhode Island makes Sea Fog American Whiskey. They don’t have to look far for their beer. The distillery is owned by the same company that operates Newport Storm Brewery. American Single Malt has already enjoyed a big global moment. In 2012, category-pioneer Balcones Distillery, of Texas, beat nine foreign single-malt entries in the Best In Glass blind tasting. But despite this victory, the category remains a ways off from broader appeal. 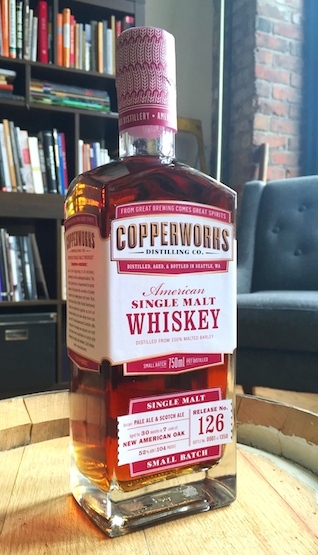 But the future is bright, as American Single Malts comes to market with whiskey innovations. “We’re seeing a broad trend in consumers towards things that are new,” says Hofmann of Westland. To help bring more consumers into American Single Malt — and bring the young category into the mainstream — Hofmann and his ASMWC peers are asking the federal Alcohol and Tobacco Tax and Trade Bureau (TTB) to define and legitimize the category. Hofmann believes the TTB will respond favorably. The bureau acts when product designations are not keeping pace with what consumers like and want, he says. And that ASMWC has already established an industry consensus on what defines American Single Malt should also help move the TTB. “We want to show ourselves globally and allow customers to know what they’re getting when they go out and buy the U.S. version of single malt,” Hofmann says. Which can depend on where the single malt is made, and by what distillery. Creativity and provenance define this category.